LG Telecom has announced the canu s1000 handset will go on sale in Korea for about 500,000 won. 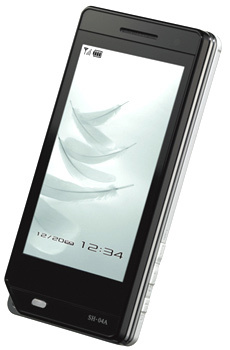 The unit is made by Hitachi and based on the W53H design, a dual-swing clamshell with QVGA organic EL display . It will run on the same EVDO rev. A network, synch with the operators OZ content portal and run DMB instead of 1Seg for digital TV. 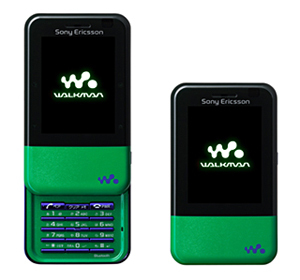 LGT reportedly had good results from their earlier experiment with the canU 801Ex handset which was provided by Casio based on the W53CA Exilim model that was released by AU in spring 2007. Since 1998 the CIAJ has conducted an annual study of mobile phone use in Japan and has released this year’s survey results. This report strives to capture the most recent user trends and has added topics which might forcast growth demand in the domestic market, including: handset replacement cycle trends after the implementation of the new purchasing plans, ownership of multiple devices and consumer interest in new services and functions, such as video use. The full report is available Here. Mobile Broadcasting Corp. has just announced that it will wind down operations of it's Mobaho! satellite digital services by spring 2009. According to the press release the company face difficult market conditions for it's subscription model in direct competition with the freely available 1Seg television offerings. Apparently the TU media (subsidiary of SK Telecom) partners based in Korea will continue operations. As Toshiba owns nearly 37% of the venture it is estimated a potential $250M write-down could affect the companies forcasted earnings for fiscal 2008. Seron over at What Japan Thinks posted this translated version of a survey conducted by Goo Research looking into the domestic demand of users considering a handset upgrade this summer. While the results show that perhaps 7% seem likely to buy a new model, one rather interesting result found there is the strong demand for 1Seg digital tv as a required function. Another, albeit less surprising but certainly meaningful, question relating to services confirmed that over 40% consider an unlimited data plan to be important. A few other recent notes of interest about mobile tv coming up after the jump. Qualcomm announced that it has successfully demonstrated the capability to support the MediaFLO and ISDB-T (1Seg) mobile TV standards on a multi-mode handset. Powered by their Universal Broadcast Modem -- UBM -- chipset, "the technology illustrates that MediaFLO technology can complement the free-to-air standard used in Japan and Brazil to enable a mix of free and paid mobile broadcast content and services to drive consumer adoption and revenue." See our video interview with MediaFLO recorded here in 2006.